What does it take to be subjectively free in an objectively rational social order? 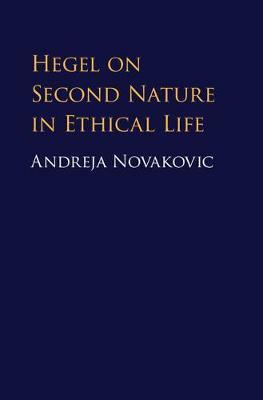 In this book Andreja Novakovic offers a fresh interpretation of Hegel's account of ethical life by focusing on his concept of habit or 'second nature'. Novakovic addresses two central and difficult issues facing any interpretation of his Philosophy of Right: why Hegel thinks that it is is better to relate unreflectively to the laws of ethical life, and which forms of reflection, especially critical reflection, remain available within ethical life. Her interpretation draws on numerous parts of Hegel's system, particularly on his 'Anthropology' and his Phenomenology of Spirit, and also explores connections between his account and those of other philosophers. Her aim is to argue that Hegel has a compelling conception of the ordinary ethical standpoint which takes seriously both the virtues and the perils of reflection.